Step One of any ride: Pull in the clutch. As much as anything, that's what sets riding a bike apart from driving a car. This isn't about the difference between pushing on a clutch pedal and pulling in the clutch lever. It's a matter of having a clutch. In recent years, new cars sales with manual transmissions amount to less than 5% of the market in America. A large portion of those are driven by price alone, inexpensive cars where an automatic is an expensive option. Many young drivers don't know how to drive a stick. In fact, some people consider a car with a manual transmission to be something of a theft deterrent since joy riders wouldn't know how to get the car moving. Motorcycles, of course, are almost exclusively manual transmissions. Most automatics that reached the market languished in showrooms until the manufacturers gave up. In fact, many of us choose our rides based on whether there's that big Thunk! when the bike goes into gear versus that snick… zing… snick of throttling to redline between cogs. Is a change on the way? Yes. And no. The old argument about getting better performance and fuel economy with a manual is over. Technology has given us rapid-fire dual-clutch transmissions that do a better job than is humanly possible. 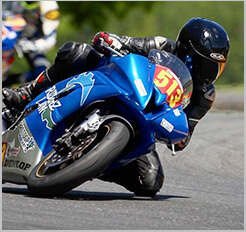 Most motorcyclists, however, enjoy being involved in such decisions as choosing a gear. Motorcycle manufacturers, however, can't give up on the idea of bringing automated transmissions to market. The reason is simple: As noted earlier, most new drivers don't understand manual transmissions and — just as important — don't want to. An automated transmission is the key to eliminating one step of resistance towards bringing newcomers into the motorcycle marketplace. Without new customers, an industry cannot survive. 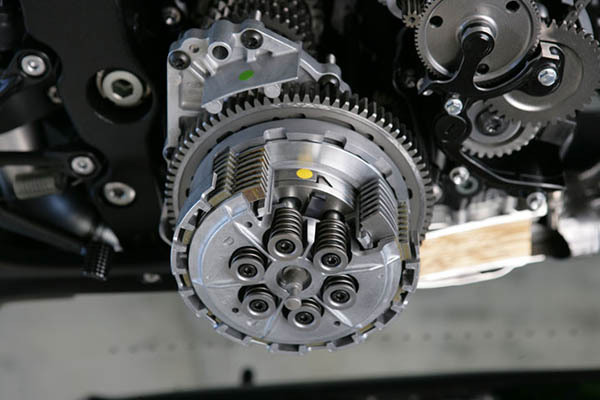 Beginner bikes isn't be the only arena for a new generation of motorcycle transmissions. Technophiles who want the highest possible level of performance see the advantage of electronically controlled shifting. While the easiest machines for new riders and the fastest rides for serious racers may see new electronically automated transmissions soon enough, there are still many years left where pulling in the clutch will always be Step One.